Three judgments were delivered by the constitution bench on triple talaq recently. The entire exercise of the constitution bench can be held to be nothing if the three judgments are analysed carefully. The popular belief that triple talaq called ‘talaq-i-biddat’ has been constitutionally ostracised is far from the truth. The first of the three delivered by Chief Justice JS Khehar, though prolix and elaborate, appears to be the correct and one within the constitutional parameters. The second one rendered by Justice Joseph, in my opinion, far exceeds the court’s judicial review jurisdiction. The court can be seen to take upon itself the role of a Mullah, Maulawi and Qazi combined, when it enters the thickets of Muslim scriptures and pits one against the other. It ignores the core question, whether the practice of triple talaq is part of customary right or personal law for the purposes of Article 25-26. If it was, then it is a part of a guaranteed right enforceable under Article 32 and Article 226. If it is part of personal law/custom and is a guaranteed right, then it cannot be hit by Article 14. Instead the judge pondered on to the question whether this personal law is sanctioned by Quran or conflicts with it. This, I state, is not the jurisdiction of courts exercising power of judicial review. The third judgment of Justice Nariman almost appears to be actuated by a personal desire to set right a perceived wrong. It is, therefore, not appropriate as well as it fails to address the real issues raised. Let us now analyse the three judgments. The judgment of Chief Justice JS Khehar correctly recognises the main question and addresses it elaborately. He rightly found that triple talaq is of ancient vintage, continuously practiced and even noticed in Muslim religious books. Therefore, it qualified to be called a custom and part of Muslim personal law of a religious sect. It is integral to a religious denomination, is part of the personal law of a religious sect and, therefore, protected under Article 25. He rightly declined to go into the question whether this form of practice is sanctioned by Quran or Hadith. This is a job for a Maulawi and not the Supreme Court. By reading some verses of the Quran etc., one cannot interpret unless adequate expert opinions are there. Therefore, it should be best left to religious leaders. The next question addressed by the Hon’ble Chief Justice is whether this custom or personal law is sanctified as statutory, by the Muslim Personal (Shariat) Application Act, 1937. He rightly found the same in the negative. Having thus cleared the deck, the Hon’ble Chief Justice then answers the crucial question whether after being preserved by Article 25, the custom can still be hit by Article 14. To thus, he recorded a categorical finding that something preserved and guaranteed under Article 25 cannot be struck down as breaching Articles 13 & 14 and, therefore, ultravires the Constitution. Courts cannot interfere with customs, only the state can. Since the state has not chosen to interfere, Articles 13 & 14 do not come in the picture. Articles 13, 14, 25 and 26 are all limitations on the state’s jurisdiction. Therefore, as would appear, this judgment addresses all the right questions. If right questions are addressed, then you get the right answers. In my opinion, the judgment of Chief Justice is correct. The judgment of Justice Joseph fails to address any of the correct questions in issue and, therefore, fails to get the right answers. The question essentially was whether the practice of triple talaq qualifies to be a customary personal law of a religious sect. If yes, then the Supreme Court does not and cannot, under its power of judicial review, question the correctness or legitimacy of such a personal law or custom by traversing through religious books and documents. It can look into the religious text to assess whether any such custom is existent from time immemorial or not. In fact, it is confined to only assessing whether a practice is recognised and of ancient vintage. The learned judge does not go into this issue at all. If the practice of triple talaq qualifies to be personal law, then being protected by Article 25, it cannot be held to be illegal or unconstitutional, even if it cannot be reconciled with the Quran. The judgment does not deny that it is of considerable vintage and is prevalent. Whether the custom is good or bad is not for the court’s determination but for the denomination following it to determine. Whether the religious denomination, choosing to observe, is acting contrary to the Quran or not, is again not within the court’s jurisdiction. Here it was nobody’s case that it is not an ancient prevailing practice or custom followed by a religious denomination. The judgment of Justice Joseph is, therefore, incorrect. However, the judgment clearly holds that the Act of 1937 does not sanctify the custom of triple talaq with statutory status. The concept cannot therefore be tested on the anvil of Article 14. Three judges, therefore, clearly hold that triple talaq is customary and does not have statutory status to be tested on the anvil of Article 14. While Chief Justice JS Khehar further finds it to be preserved under Article 25 and due to this reason cannot be so questioned; Justice Joseph, on the other hand, at the best claims that this custom though it exists, cannot be part of personal law being in conflict with the Quran. The judgment sub-silentio accepts it as a custom or personal law which is in conflict with the Quran. Consequently, it can safely be said the first two judgments clearly admit triple talaq to be a custom of a religious denomination. 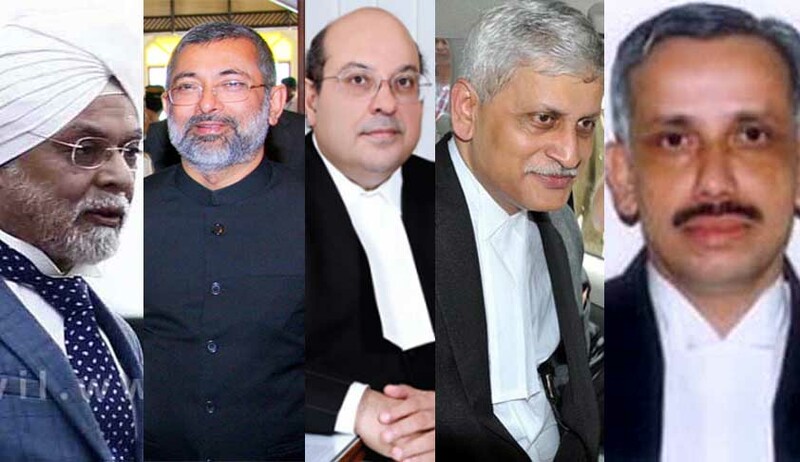 When three out of the five judges have already held that the Act of 1937 does not confer any kind of statutory status to the Muslim personal law, which exists on its own, then the very substratum of Justice Nariman’s judgment is taken away and it falls under its own weight. Since the three judges had clearly declined to test personal law on the anvil of Article 13 and 14, then the third judgment cannot sustain itself even on the basis of the stretched logic it adopted. Even otherwise the Act of 1937 read in totality does not preserve, sustain personal law or make it statutory. Justice Nariman has further overlooked that triple talaq is part of customary law of a religious denomination. In fact, his findings unequivocally show that he has treated it to be part of Muslim personal law, though sanctified by the Act of 1937 as statutory. Thus, at least four judges have held this to be personal law of a religious denomination, leaving aside the judgment of Justice Joseph. If it is a personal law, then Chief Justice JS Khehar is correct in his inference that it is preserved by Article 25. Furthermore, if it is guaranteed and preserved by Article 25, then it cannot be in breach of Article 14. Truly speaking, Article 25 is itself a facet of guarantee of equality. Article 14 is a genus, while Article 25 is species and there cannot be a conflict between the two. Justice Nariman completely overlooked this aspect. It is not that this was not pointed out because the Chief Justice’s judgment clearly refers to it. Therefore, if four out of five judges accept this practice of triple talaq as part of Muslim personal law, then it is guaranteed under Article 25. In my opinion, Chief Justice Khehar was right while Justice Nariman went awry mainly because he ignored the most important aspect as stated above. In my considered opinion, this judgment does not have a long life and it may be questioned very soon. Dinesh Dwivedi is a designated Senior Advocate in Supreme Court Of India.